The Faraday Folio Stand Case in black for the iPad Pro 12.9" 2018 features a rigid Plextonium polycarbonate rear hard shell and a smooth vegan leather front cover with a magnetic closure for an ideal balance between style and protection. 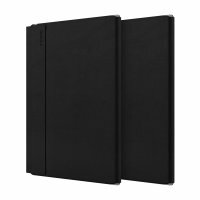 The black Faraday Folio stand case for the iPad Pro 12.9 2018 boasts a unique plextonium polycarbonate read hard-shell which is combined with a leather-style front cover to create the ideal balance between style and protection. The microfibre lining is designed so that it preserves the screen of your device and stop dirt, dust and scratches from building up on the screen. The dual construction exterior provides strong protection to safeguard your device against bumps, bangs and scratches. The Faraday boasts a lightweight magnetic strip closure which makes sure that the front cover remains shut to make it perfect for use on-the-go. Although the magnets offer a firm hold, the front cover is designed so that it can be quickly opened so you can fully use your iPad Air's screen quickly and easily when you need to. 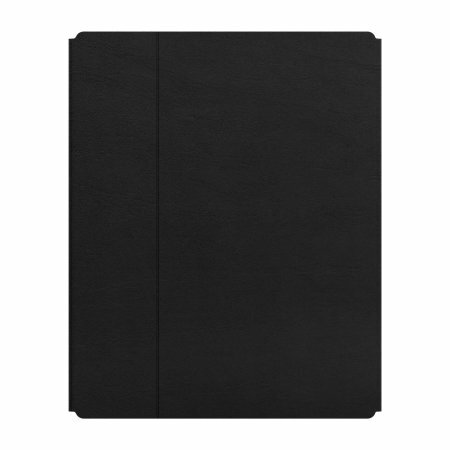 The vegan leather front cover isn't just used to provide excellent screen protection for your iPad Pro 12.9 2018. 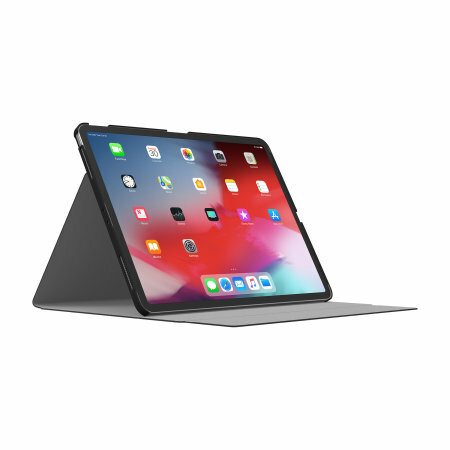 It also provides you with two different stand angles so your case can match the iPad Pro 12.9 2018's activity and provide you with the best, most comfortable angle. While upright, the angle provided is perfect for watching movies and FaceTiming friends and family. The lower angle is perfect for typing and browsing on your device, giving you the perfect angle to make sure that your wrists remain comfortable at all times. 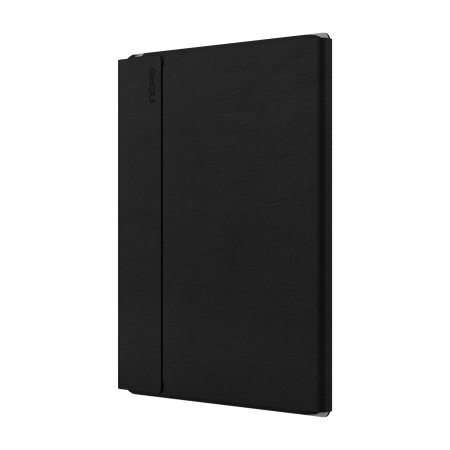 The iPad Pro 12.9 2018 is an incredibly slim device and the Incipio Faraday case is designed so that it takes this into consideration and provides a slim and lightweight case which offers brilliant protection for your device. The case is designed specifically for use with the iPad Pro 12.9 2018 and provides excellent protection whilst also giving you complete and unhindered use of all of your devices ports and features without you having to remove the device from the case prior to use.